To many here on MotoIQ, the thought of drifting probably brings images of the Fast and The Furious. The “I need one, no, two bottles of NOS” mentality that still brings nightmares to those who love import cars and how many uninformed reporters lead into anything related to import and sport compact racing of any type. This misinformation was heightened when the F-n-F series released Tokyo Drift, and suddenly those same reporters equated drifting with something illegal, stupid, and neon. Lots of neon. This lead those reporters to also think drifting was something new and Tokyo Drift was responsible for the rise of drifting as a motorsport. That, my friends, is not true and drifting as a technique has been around since possibly the 1960s. 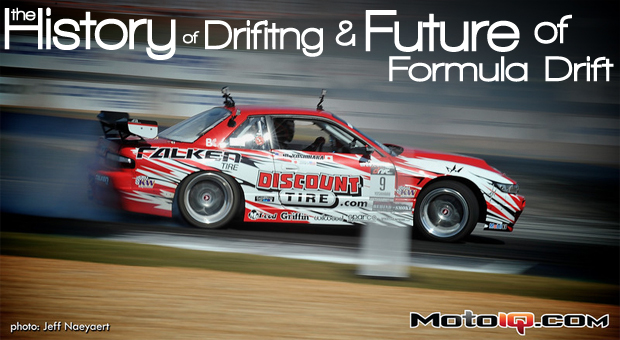 The exact start date of when drifting began to be used is shaky, but it did start as a way to combat hard, bias-ply tires of the time, low to zero aerodynamics for grip, or a combination of the two. This is especially true of the high horsepower cars of Grand Prix racing and Rally racing. 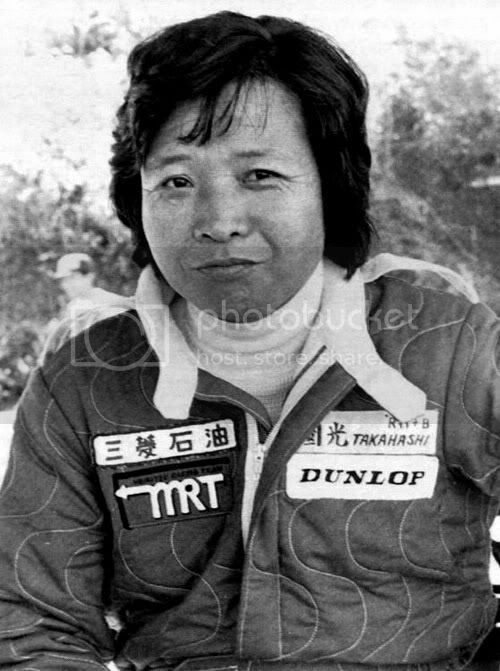 The man who is credited with creating the first techniques of drifting was Kunimitsu Takahashi, a Motorcycle Grand Prix rider and Formula Car driver of the 1960s and 1970s. He was a successful rider with 4 GP wins in his short Motorcycle Grand Prix career. 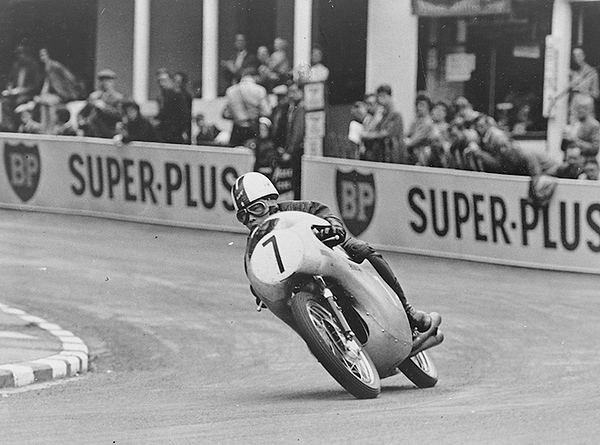 He switched to racing four wheels after a serious crash on a motorcycle in the 1961 Isle of Man TT. Kunimitsu Takahashi, in his motorcycle racing days. In 1965, he began to race cars from the non-works Tyrrell GP car in 1977 to the Honda NSX at the 24 Hours of Le Mans, with a GT2 class win in 1995. Without a doubt, the man could drive a race car, but what caught the attention of the street racers in the ’70s was the style in which he drove. Approaching a corner at near full speed, he would hit the apex and create a very large slip angle. Using throttle techniques he would keep the car in this slip angle until the straight and continue on. Upon seeing this and their rally heroes using a similar technique, the street racers of Japan then began to use them on the touge, or literally mountain road. Illegal touge racing had a new technique and the seed of drifting was planted. 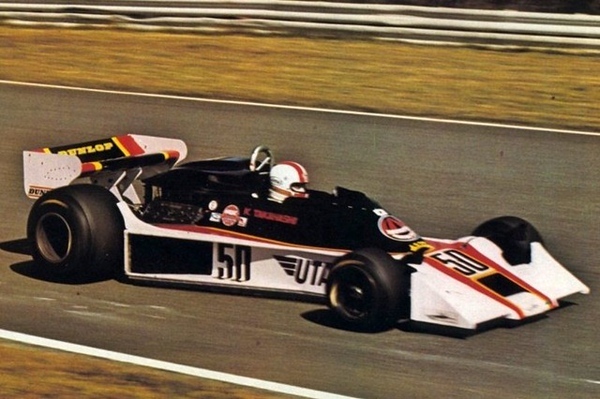 Takahashi also raced one F1 race where he came in 8th.